For professional bathroom renovations to really sparkle they need to start with a clean slate. Siteclean professional bathroom demolition and removal is a complete service. We’ll strip out and remove the old bathroom in Sydney, leaving your site clean and tidy. It’s the perfect way to start your bathroom masterpiece. Siteclean bathroom strip-out service gives you stress-free bathroom removal; thereby, giving a kick-start to your effective and cheap bathroom renovations in Sydney. Our experience with residential and interior demolitions means that you can rely on our scheduling. We understand the benefits of having fellow professionals on the team, and we’re here to help. Before, during and after each project, our friendly team of seasoned demolition professionals are on hand to answer any queries you might have and offer advice on all aspects of internal demolition. In fact, you can call David now on 0416 093 588. 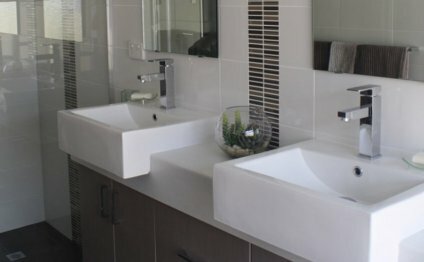 When you hire Siteclean for a Sydney bathroom removal you get minimal disruption, a precise finish and a clean, tidy site to kick-start your bathroom renovation. From the moment we arrive our precise methods are designed to leave each site as clean and tidy as possible, meaning you can start your bathroom renovation straight away. We put together a detailed plan of action and walk you through that plan at the start of the project to confirm everything is correct. We isolate the bathroom demolition area from the rest of the building. Our trained professionals also isolate any utility systems. We prepare any additional services such as a Zip Wall dust barrier system for added protection. With our precise approach, we carefully remove items from the bathroom demolition area, saving any assets highlighted in the plan. All waste is removed and disposed of at approved sites. Once the work is done we tidy the site, ensuring it’s as clean as it can be so you can get on with the build. We’ll also review the bathroom removal with you, assessing the utilities and other areas of importance. For added protection on your Sydney site, and isolation of the bathroom renovation area, we recommend opting for the Zip Wall dust barrier system. The Zip Wall dust barrier effectively blocks dust and hazardous, airborne particulates, and it is an effective tool to keep your site clean and tidy. In addition to these Sydney bathroom demolition services, we are able to offer ceiling and sub-floor removal. Please tell us if you need any of these services and we’ll create a customised quotation based on the specifics of your project.